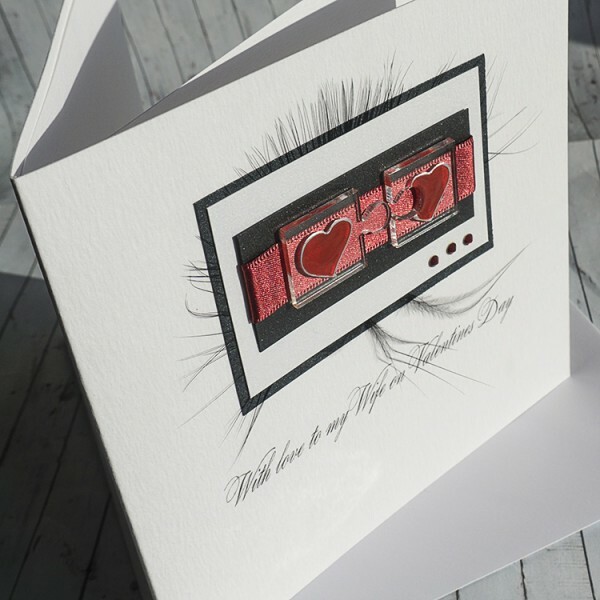 Handmade Valentine's Day Card "Manhattan"
This stylish card features pieces of Perspex laser cut into jigsaw pieces and painted with hearts. 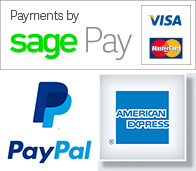 The design is mounted on pearlescent cards, a feather, satin ribbon and embellished with 3 Swarovski diamontes. 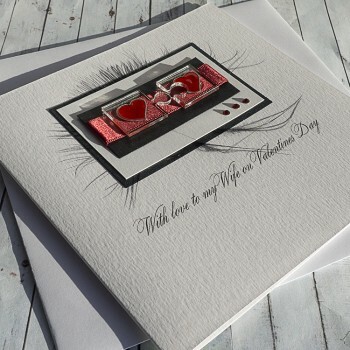 Created on quality textured white card and supplied with a matching textured insert. 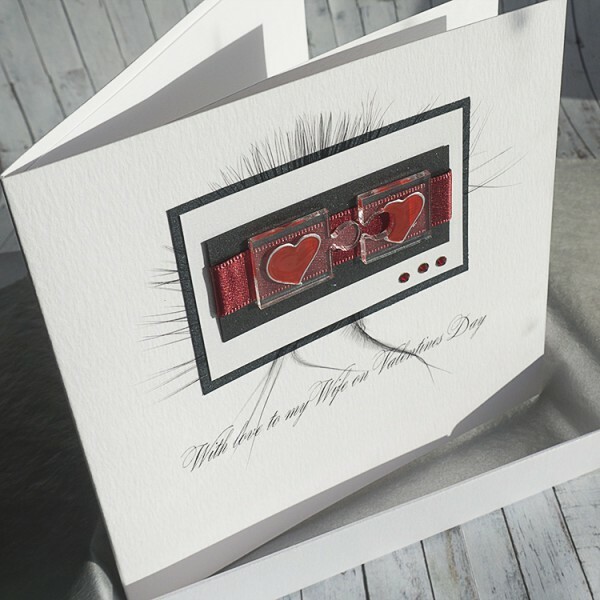 The card is supplied with a white envelope or a tissue lined textured box, tied with a satin ribbon. 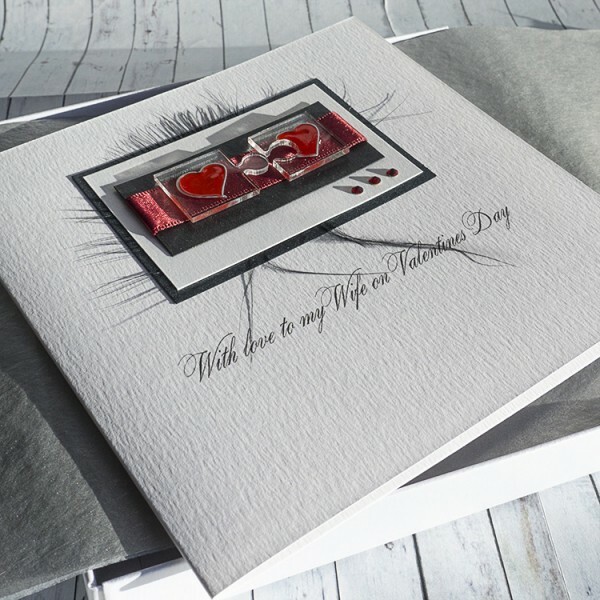 The card in the picture reads 'With Love to My Husband on Valentine's Day', but it can be personalised for Fiancee, Wife, Boyfriend, Girlfriend. Please enter your own special message in the box when you order.